On January 26, 1897, Miss Charlotte N. Malotte, the professor of Latin and French, spoke to a student group at the chapel hour. She spoke on the subject of "College Fraternities" which sparked the interest of several students. Then, on the afternoon of February 26, a new fraternity had its first meeting. When, after a long session, the meeting adjourned, a literary society had been born, though it was yet unnamed. The founders of the Fraternity, all cadets at Vincennes University, were William Raper Kennedy, James Thompson Kingsbury, George Martin Patterson, and Rolin Rosco James. The first three were seniors; James was a freshman. Samuel and Maurice Bayard were the first initiates. They were made members of the Fraternity before a name was selected or a constitution adopted. Many of the first meetings of the Fraternity were held at the old Bayard home. At the Bayard house, the constitution was written and the first ritual was developed and used in the loft of the family's carriage house. "That," Mrs. Bayard said, "would make an excellent motto for your organization." With this remark she left the room, and her suggestion had accomplished its purpose. A motto had been found. It would be appropriate to say Tau Phi Delta was hardly a fraternity chapter, as that term is now understood. Rather, it was a combination of the fraternity idea and the old style literary society, the like of which flourished in almost every college in the United States in the 19th century. However, in all its outward aspects, Tau Phi Delta possessed the characteristics of a fraternity chapter. It was strictly secret and possessed a password and a grip and included an initiation ritual. Its badge was a simple black shield, with a border of gold, upon which the Greek letters "Tau Phi Delta" were displayed. The colors were black and gold, and the red clover was the official flower. In the winter of 1903-04 the Fraternity ceased to meet in the college building and rented a small cottage at 110 South Third Street in Vincennes. This building was occupied until the end of the college year and is considered the first chapter house occupied by the Fraternity. Tau Phi Delta first began to show signs of expansion in about 1904-05. The beginning of the college year found three members of the Fraternity attending the University of Illinois and seven at Indiana University. In May, 1905, the members at Indiana effected an organization and petitioned the Vincennes chapter for authority to establish a second chapter there. The petition was denied. The members felt the proposed chapter would be unable to compete with the fraternities on the state university campus. During that year also, the organization first began to officially call itself a fraternity, and steps were taken toward incorporation under the laws of Indiana. A proposal of one of the members to expand the Fraternity into a national organization with chapters in junior colleges was also considered. Suitable material was not found, and the project was abandoned without formal action. In 1984, the Fraternity again changed its name. At the 37th Biennial Convocation, Sigma Pi became an international fraternity by accepting its first Canadian chapter. This international status required the Fraternity to become Sigma Pi Fraternity, International. 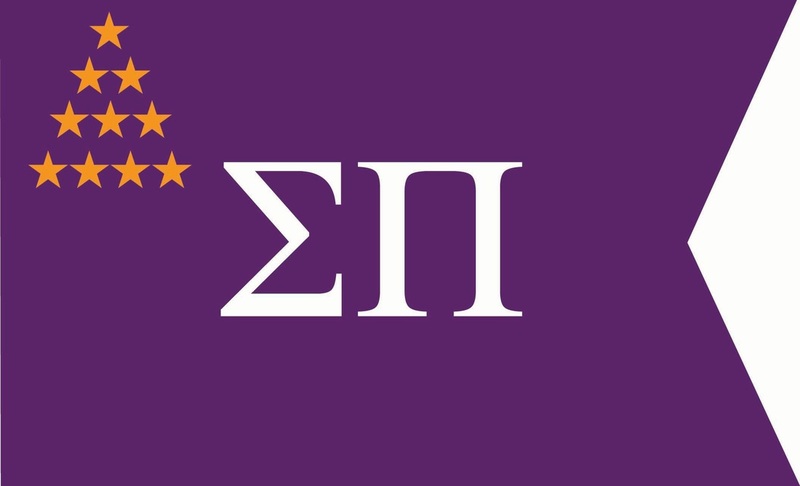 Today, Sigma Pi is comprised of 123 active chapters, 6 colonies, and over 95,000 alumni.